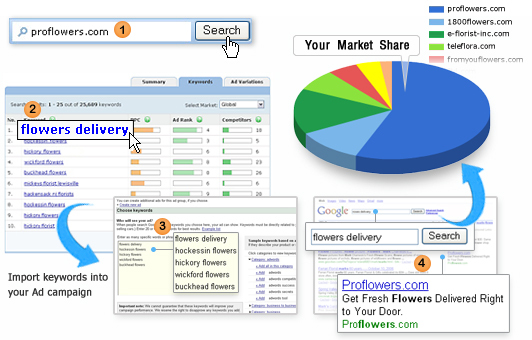 What keywords are your competitors buying? And what AdCopy are they using? You can always google the keyword term and see who else appears alongside with your ad, but what if there was a tool that gives you all this information in just a few clicks? Keywordspy.com offers a tool that shows not only your competitor’s keyword lists, but in addition, all the variations of AdCopy they are using. You can now utilize this tool to further enhance your keyword lists, as well as gain valuable insight to what other AdCopies you should consider running. The free online trial gives a user some insight to their competitor’s keyword lists, but you may purchase the full version and gain full access.